This Program is designed to be a safe haven for children ages birth to seventeen years who have been removed from their home because of abuse, neglect, abandonment or any situation that causes the home to be unsafe for the child. Children may stay at Sallie House from one night to one year depending on whether they can be reunified with their parents, placed with relatives, placed in a foster home or adopted by a loving family. The dedicated staff at Sallie House is ready 24 hours a day 7 days a week to provide the comfort and care these children so desperately need and deserve with the goal of providing an atmosphere that is as normal as possible until arrangements for each child’s long-term care can be made. 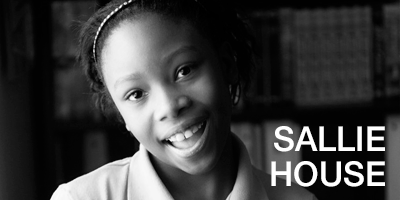 Sallie House is a safe haven for children, infant to seventeen years of age, who have been removed from their home because of abuse or, neglect or — even abandonment. Children may stay there as long as needed — for a few hours or several months — until they can be safely reunited with parents, placed with relatives, taken into a foster home, or adopted by a loving family. In the 24 years since the doors were opened to these most vulnerable members of our community, Sallie House has sheltered more than 2,500 children. Every child needs a family… Every community needs its children. This program is designed to provide stable, long-term placement for large, hard-to-place sibling groups who have been removed from their families and not reunited because the risk of neglect or abuse is too great. In addition, adoption planning has been unsuccessful and remains unlikely. 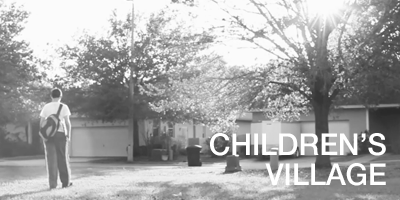 Each home in Children’s Village serves six children ranging in age from birth to 18 years. The Salvation Army’s Children’s Village provides a home, a neighborhood and a community theses youngsters can call their own-with the security of knowing they can live in the Village throughout their childhood. Children’s Village is designed for children in foster care, with special emphasis on keeping brothers and sisters together. These children have been removed from their families and can not be reunited because the risk of abuse or neglect is too great, or because there is no family with whom to reunify. Adoption planning has not been successful for them and many have been in multiple foster care placements. Some of the children placed in the Village are members of sibling groups who would likely be separated if placed elsewhere. Each child needs a stable place to call “home“. Children’s Village is a neighborhood of four single family homes with areas for play and recreation. The length of stay is expected to be until the children reach adulthood. Children can leave sooner if an opportunity for reunification or adoption becomes available. A respite companion is provided to each home, giving the parents time to themselves, while the children will be familiar and comfortable with the companion while the parents are away. No person shall, on the basis of race, color, national origin, gender, age, or disability, be excluded from participation in, be denied the benefits of, or be subjected to unlawful discrimination under any program or activity. Foreign language and sign language interpreters will be made available at no charge to the client.